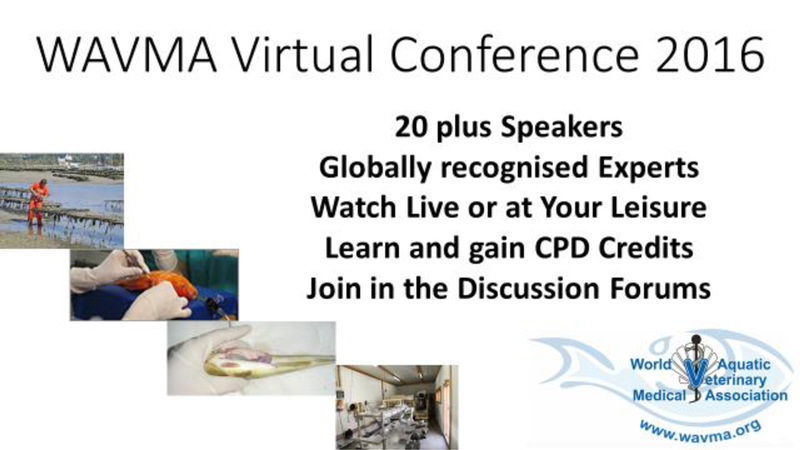 This conference will be of interest to any fish veterinarian or anyone interested in aquatic veterinary medicine. With over 20 internationally recognised speaker's presentations given over two days, and the chance to gain a years worth of Continiung Education & Professional Development credit at minimal cost, this conference will be one of the best value conferences of the year. A great advantage of this conference is the ability to not only listen to the presentations, but ask questions of the presenter and discuss the the information delivered. This provides for a far better learning experience and contributes to the overall knowledge gained from the presentation. The discussion forums will remain open after the event, so you will get that burning question answered by the presenter or another expert in the field. . The keynote presentations were streamed live with live Q&A sessions. All other speakers were “on demand” during the conference and are available post-conference to those who have registered. Q&A’s for speaker talks and keynotes are online in “chat rooms.” This provides a unique opportunity to not only ask questions of speakers but also debate topics with your colleagues.